Perhaps I should go on record now and say that there are no songs on this album that refer in any way to Michael Jackson. 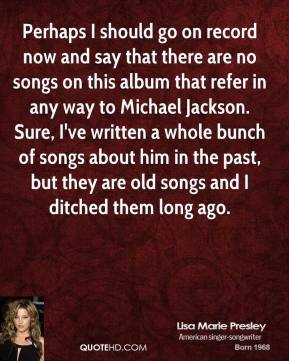 Sure, I've written a whole bunch of songs about him in the past, but they are old songs and I ditched them long ago. 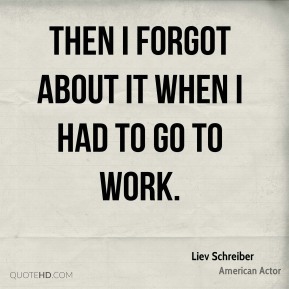 Then I forgot about it when I had to go to work. They put us in these boxes, and they think you?re not supposed to go outside the box. When I grew up, you listened to the radio (and) you heard everything from Run-D.M.C. to Led Zeppelin. It was just radio. 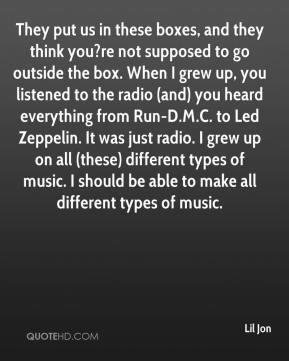 I grew up on all (these) different types of music. I should be able to make all different types of music. You know, she's about to go to the big house, for lying, ... I'd like to place a call to the warden and upgrade your situation. [Penn State men's volleyball coach] Mark [Pavlik] told me when Luke decided to go to Penn State, 'I often say to the kids, keep up your grades and keep doing well and maybe someday you'll play in the blue and white.' Mark told me he actually remembers saying that to Luke. For it to happen to Gary and Jay, too, is incredible. I think we work hard as a team. We don't just go out there and take it for granted. 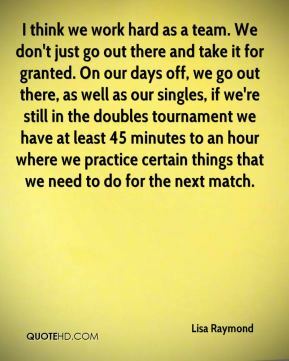 On our days off, we go out there, as well as our singles, if we're still in the doubles tournament we have at least 45 minutes to an hour where we practice certain things that we need to do for the next match. 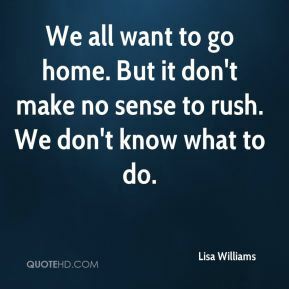 We all want to go home. But it don't make no sense to rush. We don't know what to do. He's really relentless. When he gets on something, he's not going to let go of it. He will not let go. 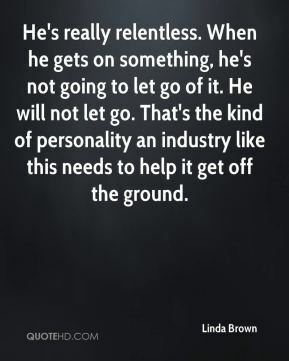 That's the kind of personality an industry like this needs to help it get off the ground. 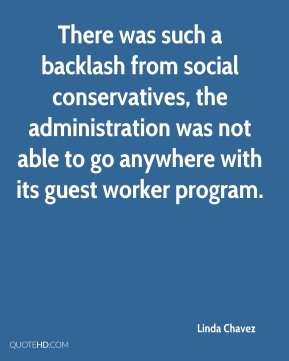 There was such a backlash from social conservatives, the administration was not able to go anywhere with its guest worker program. Devastation doesn't just go away. 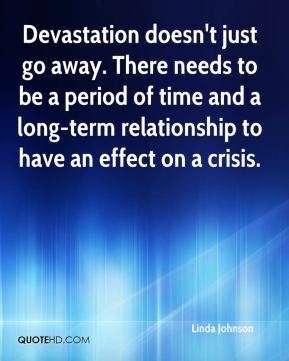 There needs to be a period of time and a long-term relationship to have an effect on a crisis. It's never a good time to go because there's always younger girls you don't want to leave behind. 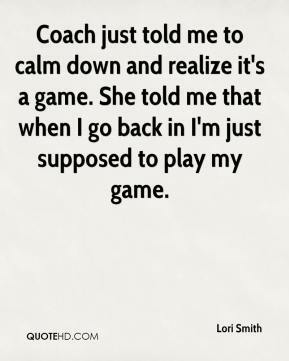 Coach just told me to calm down and realize it's a game. She told me that when I go back in I'm just supposed to play my game. 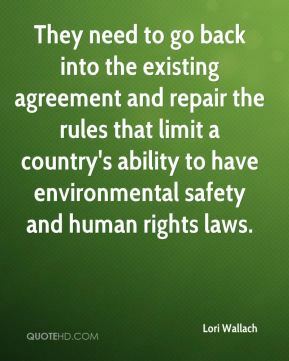 They need to go back into the existing agreement and repair the rules that limit a country's ability to have environmental safety and human rights laws. 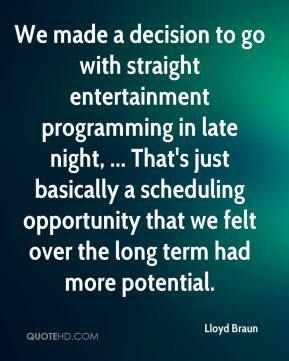 We made a decision to go with straight entertainment programming in late night, ... That's just basically a scheduling opportunity that we felt over the long term had more potential. 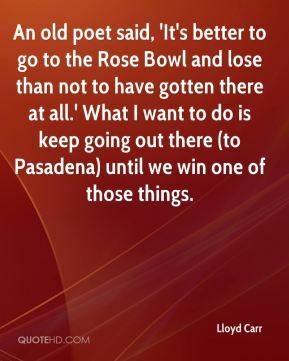 An old poet said, 'It's better to go to the Rose Bowl and lose than not to have gotten there at all.' What I want to do is keep going out there (to Pasadena) until we win one of those things. 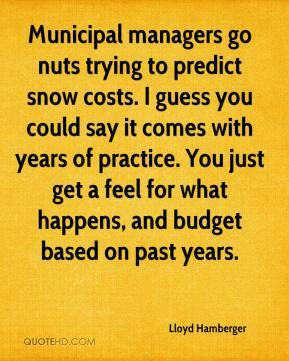 Municipal managers go nuts trying to predict snow costs. I guess you could say it comes with years of practice. 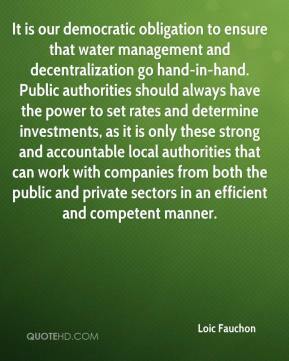 You just get a feel for what happens, and budget based on past years. Or you could go pick it up yourself. 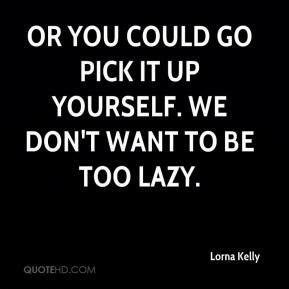 We don't want to be too lazy. 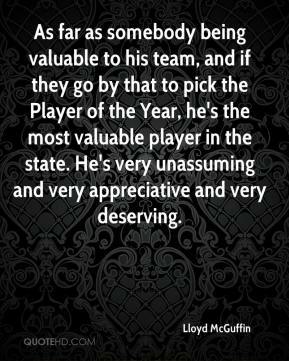 As far as somebody being valuable to his team, and if they go by that to pick the Player of the Year, he's the most valuable player in the state. He's very unassuming and very appreciative and very deserving. 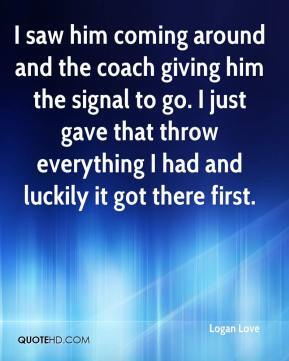 I saw him coming around and the coach giving him the signal to go. I just gave that throw everything I had and luckily it got there first. A lot of poor people are leaving their countries to go to rich countries. 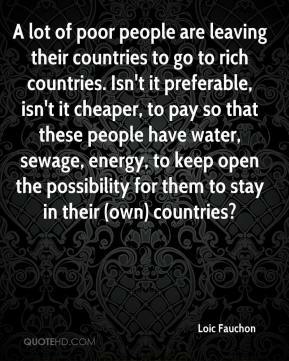 Isn't it preferable, isn't it cheaper, to pay so that these people have water, sewage, energy, to keep open the possibility for them to stay in their (own) countries? 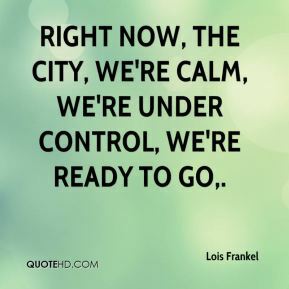 Right now, the city, we're calm, we're under control, we're ready to go. So are we lost or do we know Which direction we should go Sit around and wait for someone to take our hands and lead the way Cause every day we're getting older And every day we all get colder We're sick of waiting for our answers Wake up, Wake up, Wake up, Yeah I'm so tired of waiting, waiting for us to Wake up, Wake up, Wake up, Yeah I'm so sick of waiting, for us to make a move Are we meant to take the pain Should we sit around and wait Are we being saved Or was I another lie you made to make us hate Cause every day we're getting older And every day we all get colder We're sick of waiting for our answers Wake up, Wake up, Wake up, Yeah I'm so tired of waiting, waiting for us to Wake up, Wake up, Wake up, Yeah I'm so sick of waiting, for us to make a move Wake up, Wake up, Wake up, And we will never lose Wake up, Wake up, Wake up, it's time to make a move Wake up, Wake up, Wake up, And we will never lose Wake up, Wake up, Wake up, it's time to make a... move! 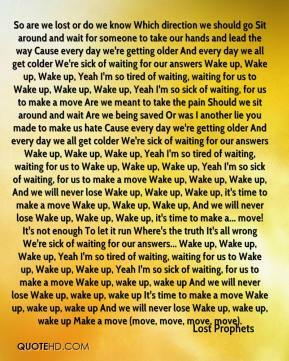 It's not enough To let it run Where's the truth It's all wrong We're sick of waiting for our answers... Wake up, Wake up, Wake up, Yeah I'm so tired of waiting, waiting for us to Wake up, Wake up, Wake up, Yeah I'm so sick of waiting, for us to make a move Wake up, wake up, wake up And we will never lose Wake up, wake up, wake up It's time to make a move Wake up, wake up, wake up And we will never lose Wake up, wake up, wake up Make a move (move, move, move, move). 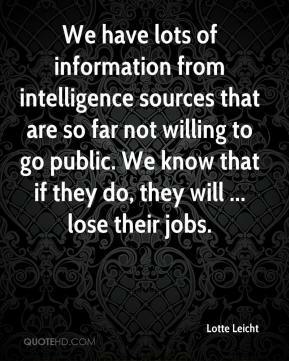 We have lots of information from intelligence sources that are so far not willing to go public. We know that if they do, they will ... lose their jobs. I would rather not go to court to fight about something. We're talking about individual's free speech rights. 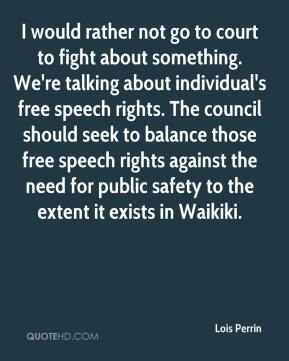 The council should seek to balance those free speech rights against the need for public safety to the extent it exists in Waikiki.